Nikki Braziel is a writer, organizer, and entrepreneur. With Prometheus Trotsky, she co-founded Octa, where she is currently serving as Chief Operating Officer. She is writing the great American novel by night. Cameron Summerson tested Octa’s Monkey Kit on a variety of Android tablets. He found Octa’s tablet stand versatile and useful. He also reviewed Octa’s tablet handle. 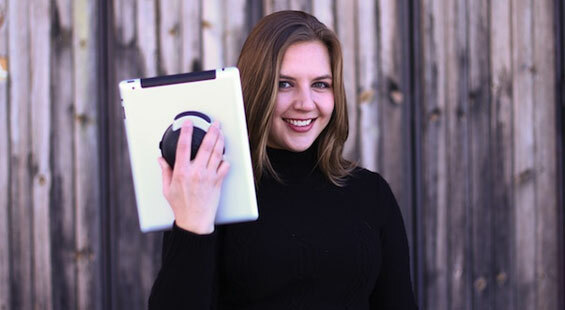 The TabletTail: Whale Kit makes tablets easier to hold. The Whale Kit and the Monkey Kit are interchangeable. Both products are available at Amazon.com and UrbanOutfitters.com.